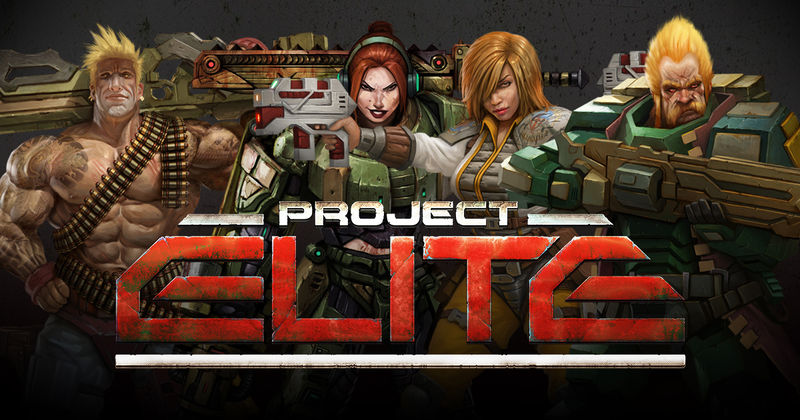 Ladies and gentlemen of the council, you’ve asked me here today to update you on Project: ELITE. What I have for you is a brief bio of the top six individuals in the program. They represent our best hope to turn the tide against the aliens and secure the Earth for humans once more. Please hold any questions until the end. Lights please. Bring up the first slide. Starting out, we have Captain Akosha Haugen. A native of Norway and veteran of the United Nations Orbital Fleet, Captain Haugen’s greatest regret is that her repeated warnings about the relatively low strength of the UN Solar Fleet wasn’t heeded until the Proxies entered the solar system. By then, it was far too late. Now, with no fleet left, Captain Haugen leads Project: ELITE’s tactical teams with ruthless efficiency. No other team leader can boast such a high success rate. Her insight will be invaluable in the times to come. Lieutenant Barry “Gilgamesh” Hanson. While his service as an American Delta Force commando is marked with incredible feats of tactical brilliance, he remained a lieutenant thanks to his narcissistic bearing and prideful nature. When UN scientists developed the first of the new super-soldier serums, Gilgamesh instantly volunteered. The results are impressive, and Lieutenant Hanson’s already gifted battlefield prowess has been enhanced tenfold. Unfortunately, his ego grew in proportion with his body. I can see some of you have concerns. I assure you that we have taken steps to make sure he is able to work with the other members of the team. Sergeant Kara Raimes began her military career in the British Royal Naval Marines and rapidly transitioned to their orbital corps. When the Proxies invaded, hers was one of the only ships to successfully subdue an alien vessel. This action was in no small part due to Raimes’ unflinching savagery in combat. While not much of a “planner”, Sergeant Raimes can make the most out of any battle, usually by going straight through the nearest enemy line. Such a bold member of the team will be a definite asset on the field, and she’s already had victories against the Proxies. Hopefully there will be many more. The next member of Project: ELITE is Rake Voker. He’s the only Mars-born member of the team. He was deployed to a mission on Earth when the Proxies came and destroyed the Mars Colony. Ever since that dark time, Voker has been utterly devoted in figuring out the Aliens’ technology in order to use it against them. He always carries the latest and greatest tools of war with him into battle, and nothing satisfies him more than when one of his “new toys” is used against its former owners. His knowledge with alien tech is invaluable, as theirs tends to be more advanced than ours. And, he certainly has a thirst for revenge against the Proxies. Here we have Sergeant Gherid Bennett. He was critically injured during the Siege of Boston, but the Project: ELITE medical corps kept his broken body alive inside the fusion-flamethrowing Flare MkIII exoskeleton. Gherid was shattered, but ELITE psychologists used experimental processes to erase the mental trauma and re-program it with a dedicated soldier subroutine, the “Flattop” series veteran combat protocol. Now, Gherid gleefully sends Proxies to a fiery grave, and doesn’t care at all that he lost everything just a few months ago. We will be using him as a baseline for using these procedures on others, as we can’t afford to lose a single good fighter against the invaders. And having veterans who have faced them before will only include our chances of winning. Finally, that brings us to Kinje Prime. Yes, a true alien helping with the fight, one of the few who have chosen to do so. We must remember this in the future if we have to deal with the Centaruians again. Anyway, Kinje Prime is something of a “big game hunter” who is mostly interested in bringing home the biggest trophies. When the Terran Conflict began and reports of truly horrible Janusian monsters were being unleashed, Kinje booked the first cruiser to Earth. Here at Project: ELITE, we took quick advantage of the kills she started racking up with her twin-slugger pistol and gutting blade, naming her an honorary specialist. While she’s not fighting for her homeland like we are, any help in this effort is greatly appreciated, especially when they’re as skillful as her. Members of the council, these six individuals will be a part of the team that will try to win back our home world. I know that several of them don’t fit the traditional mold for soldiers, but they are more than capable of the task we put ahead of them. I have total faith in their abilities, and trust that Project: ELITE will turn the tide against the Janusians. … We have to trust them, otherwise it’s all over. Project ELITE is coming to Kickstarter on October 30 at 3 PM EST. Join the team and pick up arms against our alien oppressors, or sit back and watch the world burn.